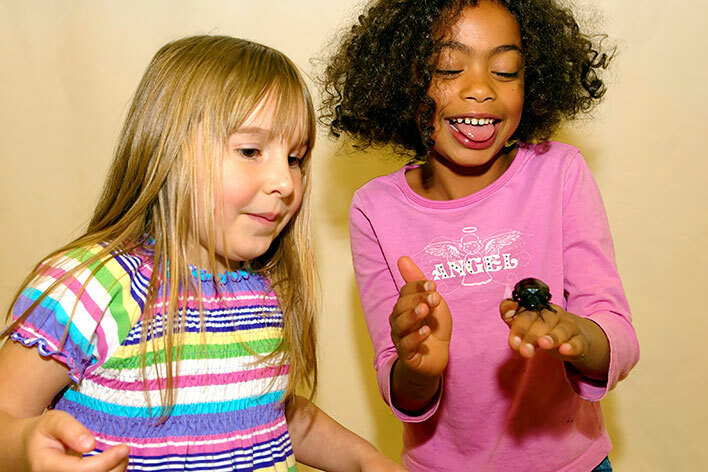 High Touch High Tech teaches Science education in a FUN way through hands-on exploration! High Touch High Tech is a science field trip that transforms your classroom into a Living Laboratory - the place where we learn by doing! 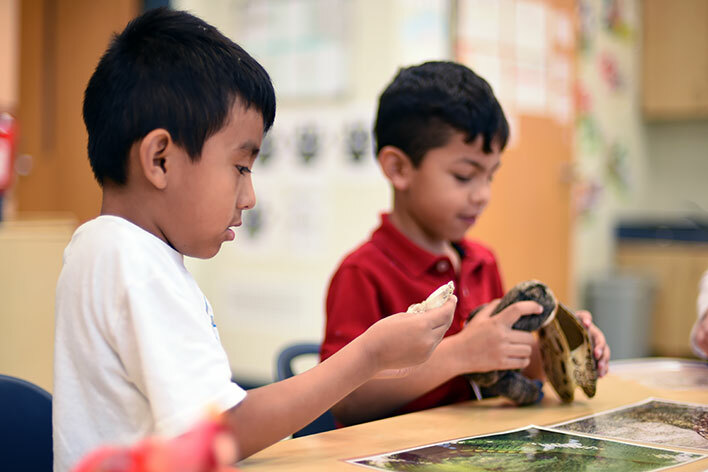 Because programs are centered on the individual child's experience, many of them can be adapted, upon request, to meet other grade levels as well. Our experiments are structured to use materials that are safe and easy to identify. Students can duplicate many of these experiments at home with their parents. "What a pleasure! The children were engaged the entire time. Very good curriculum presentation and hands-on experience!" These programs are totally hands-on and totally participatory by each child. All programs are geared for the kindergarten through second grade child, but may be adapted for third thru fifth grades. *All HTHT - Science Made Fun workshops are aligned with the Next Generation of Science Standrads (NGSS) and the Common Core. *Standards listed in workshop description. Find out what really matters. Have FUN as we explore all different types of matter. Discover bubbling potions for yourself, watch air take up space and even have a contest with carbon dioxide! NGSS -PS1.A & PS1.B. Find out how much fun chemistry can be! Build your own chromatography chamber and watch the colors separate before your very eyes. Make your own silly putty and gummy bears as we learn REAL chemistry! NGSS -PS1.B. Learn about the different types of sound. Discover what sounds actually are. Make sound travel through different media. Build your very own ear drum. Make salt dance and water fly! NGSS-PS4.A & PS4.C. "The children were totally focused and engaged through the whole presentation. They loved it. The Scientist was excellent!" Get the essentials as we learn about the food groups. Have FUN as we test for protein, starch and fat. Become a food archeologist and climb the great food pyramid. Experiment with vitamins; learn to make healthy choices and much more! NGSS- LS1.D. Explore our amazing underwater world. Learn about plankton, and why almost all ocean life depends on them. Get the Beef on Coral Reefs! Discover how marine mammals stay warm. Make your very own reef to keep! NGSS - ESS3.A, LS1.A, LS1.B, LS1.D & LS3.A. These programs are totally hands-on and totally participatory by each child. All programs are geared for the third through fifth grade child, but may be adapted for Kindergarten thru 2nd grades. Finally, a hands-on and FUN program on machines. Make your very own screw out of a carrot. Meet The Facilitator, our cool multi-personality compound machine, and engage in pulley power, wedge wonders, and incline plane antics. Become "energized" as we discover potential and kinetic energy. Discover the balance in your life as we make our very own levels to take home. NGSS - PS3.C,ETS1.A, ETS1.B & ETS1.C. Get the facts on those natural acts! Earthquakes, hurricanes, tornadoes, and volcanoes. Learn about our changing conditions which cause these phenomena. Have FUN as we make them happen in your classroom. NGSS - ESS1.C, ESS2.A, ESS2.B & ESS3.B. Join the chain gang, the food chain that is. Explore the five laws of nature that apply to the world's ecosystems. Have fun as we learn about predator/prey relationships, and dissect real owl pellets. Discover why honeybees are so important to the balance of nature, and much, much. NGSS - LS1.C, PS3.D & LS2.A . "The program was excellent. It covered all parts of our curriculum. Our instructor was super. Her management of the class and interaction with the students was commendable." Find out just how amazing light is. What is visible light? Discover who ROY G. BIV is and the electromagnetic spectrum. Uncover the mysteries behind light and why it is both wave like and particle like. NGSS - PS4.A, PS4.B, PS4.C . 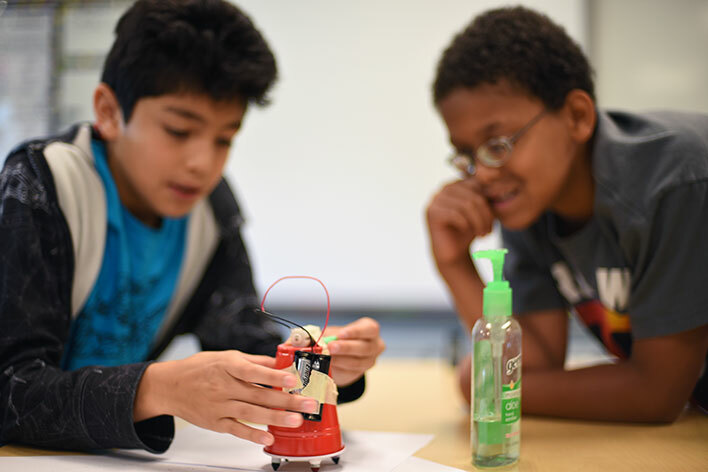 "The program connected so well with our unit - reinforced things the students have learned, offered hands-on experiences, and demonstrated difficult concepts." Call today 630.227.4848 OR simply complete our reservation form on-line to schedule your next in-school science field trip with High Touch High Tech!